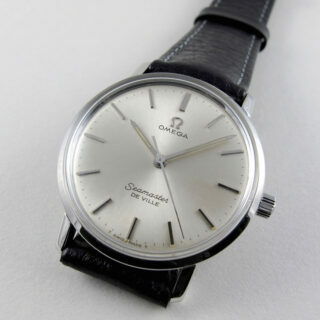 This is an especially handsome example of the Seamaster de Ville, with a classic silvered dial and applied baton indexes. 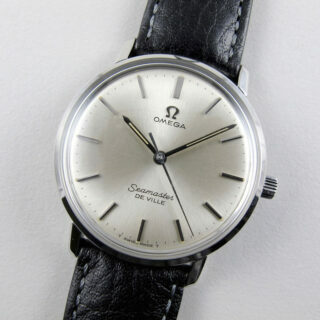 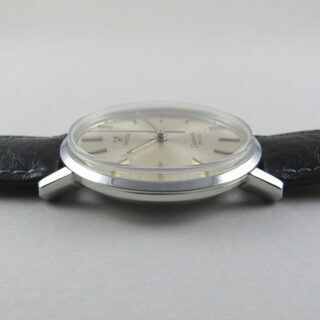 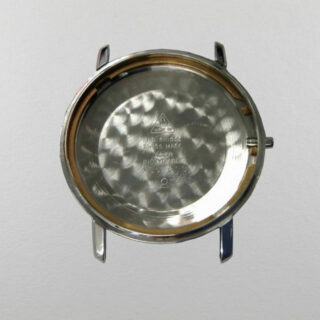 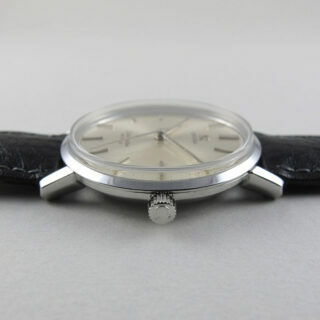 Omega’s double model ‘branding’ of the Ref. 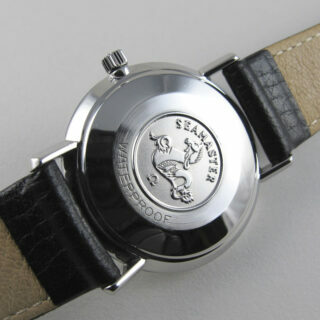 135.010 as a Seamaster de Ville, emphasized the watch’s sporty nature (for which the Seamaster models were well-known) whilst also drawing on the watch’s classic, dress-style look which the “De Ville” range was intended to represent. 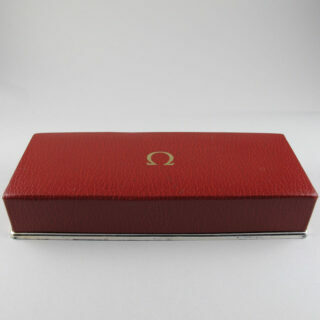 Accompanied by the original Omega card presentation box. 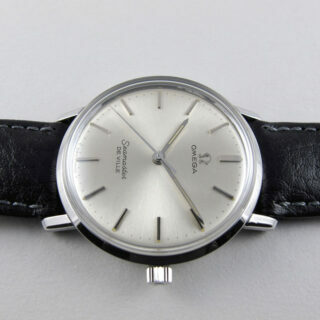 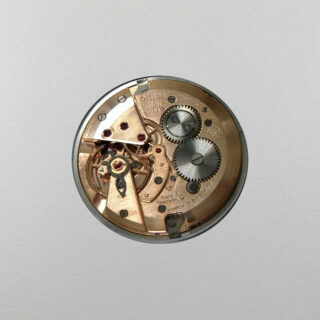 Serviced and overhauled by an Omega Approved Service Centre. 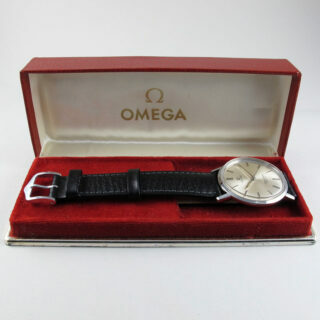 This watch is sold with a one year guarantee, detailed Black Bough certificate and a Black Bough fitted presentation box.